When I came out with Online Personal Brand a few years ago, I differentiated from the other personal brand approaches (fourteen books I read) by creating a functional model. I suggest each person, first establishes each of three elements – skill set, aura, and identity – then projects them onto networks; in the book, I provide a detailed discussion of each of these elements and when they overlap. I did not jump on the ‘self-promotion’ or ‘popularity contest’ bandwagon. Self-promotion is necessary in situations, but so is self-prevention. Self-promotion is not me, so I do not relate. I promote ‘idea promotion’ and getting recognition when and if deserved. The identity element is critical (and something often left unattended by personal branding experts). In a hyper-connected world, we constantly make new connections, write posts, and share content in social media without considering the consequences. We get enamored by the ‘network effect’. Despite what they tell you, companies offering a service either advocate an identity or network – something I call network versus identity. It makes sense. According to Reeds’ Law, the utility of networks can scale exponentially by the size of the network. In addition, social media services offer ‘profiles’ that are essentially boxed layouts so there is not a lot of latitude to express yourself in a visually appealing way – a personalized, deeper way. Redundancy. Think about how your content and information is used across the internet. Can you take steps to consolidate, cross reference articles? Relevancy. How do you fit on your networks? Make connections with purpose. Try to recognize value or a reason in making a connection. Establish your own expertise. Rights. As you share content online, consider royalty and copyright privileges. With almost every social media service, you relinquish royalty rights to your works. Relationships. Networking requires making connections with varying depth. Remember to be human. Rule. Take ownership of your identity. With your personal website, take control down to pixel of space. Resonance. Similar to relevancy, consider how your message (in content, posts, updates, etc.) is unified and clear. I have argued a personal website is an ideal representation of your identity. In constructing a personal website, it should be all about you. Visit www.theprofessionalwebsite.com to learn more. Hire Character. Hire Skill. Train Skill. When I first heard the phrase: “Hire Character. Train Skill.” I protested, not because of the character statement but rather the skill statement. The intention is to emphasize character over skill in hiring. But I think someone who has mastered his or her skills deserves commendation (getting hired). Skills have a very human element, especially when you start to talk about ‘soft skills’ and behaviors and analytical thinking skills, both of which are extremely hard to automate. I got in a social quagmire trying to express my point of view as many argued hiring is all about character. So, I thought it was worth further exploration. The type of company matters too; perhaps this is where the promotion versus prevention relationship comes into play. If a company is in marketing, branding, or hospitality, character is measured not only internally, but also externally by clients and the public in general; in a way, a company promotes the character of its employees. A software company hires engineers based on whether they can immediately start contributing; a company wants to prevent poor character from harming the normal flow of business. Hire Skill. I think you hire based on skills. These candidates have already put the time, expense, and dedication to properly learn a set of skills. 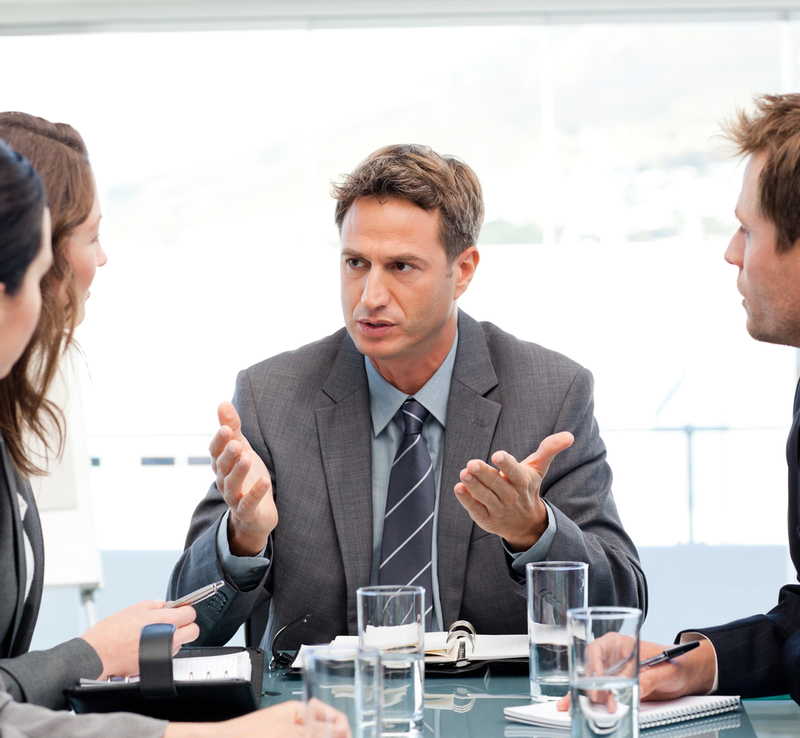 You have candidates prove they have the skills by demonstration and /or assessments. Furthermore, in applying, candidates signal they know what it takes to apply the skills and they want to move forward in learning them. In addition, you should assess the soft skills (non-technical, and subtle skills) that represent your company culture. Train Skill. I believe in a growth mindset, where a student or professional feels motivated to acquire skills if they put in the necessary time and effort; part of a skills culture. Therefore, if a company is willing to pick up the expense (time, money, and resources), then they should be able to teach the necessary skills. However, there will be variances in the expenses and motivation levels of new hires. There is no guarantee a new hire sticks through the process. So, all I did was insert “hire skill” into the phrase ahead of “train skill”. Author TheProfessionalWebsitePosted on June 4, 2017 Categories Online IdentityLeave a comment on Hire Character. Hire Skill. Train Skill. (Skills Label) What is the Brand Name? There is no way to compare learning from traditional learning media (books, game, course, activities, etc.) with emerging learning media (games, virtual reality, and IoT). This disarray gets worse when comparing media targeting different education, higher education, and career stages. Skills Label™ is a patent pending process / method to create a standardized display, catalog, and database for learning resources. Skills Label™ differs from what currently exists. There is not a process for game designers, educational publishers, providers of online learning platform, practitioners of traditional high school and college programs, and other producers of educational experiences to publish the learning expectations of their resources. Skills Label™. This is the brand name we have invested all our marketing efforts in. Clearly, the prime space on the label is used to emphasize skills and elements related to skills. (Using the analogy of a nutritional label, skills are like vitamins – the essence, goodness of the resource.) In addition, putting ‘skills’ in the brand name strongly associates it with two other core apps: Skills Based Approach and Skill Syllabi. Finally, it coincides with the Skills Culture mindset. Skills Emblem. Badging and stacking credentials has gained a significant following in education and professional development. This might emphasize what you get after consuming a label. One part of the process and utility of the label is to assign credentials. This ties skill to learning achievements. Working with skills, competencies, and their related underlying methods is an ideal medium to express learning expectations. The database of skills is robust, representing technical and transferable skills, soft skills, and behaviors and constantly growing to accept new technologies and applications; an advantage in working in skills is they are evolving. New elements like focus values and context have been added to the label. Standards, like Common Core, are linked to skills and anchor the level of difficulty or required competency. Education Label. The advantage in this name is it directly links the intent to reach a target audience of students in K-12 education and higher education. The lion’s share of labels might be created by teachers and professors for tasking in their courses. Learning Label. Summarizing learning is the objective of the labels. It does not matter if the learning takes place in the classroom or out of the classroom. It does not matter if the learning is required or self-directed. The purpose is to capture learning. Author TheProfessionalWebsitePosted on May 6, 2017 May 8, 2017 Categories Online Identity, Skills Based Approach, Skills LabelTags education, education system, higher education, learning platforms, learning skillsLeave a comment on (Skills Label) What is the Brand Name? Definable – every skill can be defined and has related underlying methods and applications. Much of learning (traditional and new age) translate best to skills, including: gamification, badges, and adaptive and personalized learning. Standardized – skill sets are concrete. Skills summarize education and employment needs. Educators, recruiters, and employers understand skill sets. Portable – most social media platforms (LinkedIn, Google +, Facebook), job boards, and personal websites include skill sets. Searchable – skill sets are highly effective as tags to content. Flexible – new skills are created all the time. Many skills today did not exist five years ago. Longevity – skills connect education, higher education, and career learning expectations. I agree with educators who stress the importance of helping learners develop lens, perspectives to properly evaluate their circumstances – essentially drive their growth as a person. To some extent, this involves memorizing relevant facts and information. There are places on a Skills Label™ to capture this ‘other side’ of knowledge. First, for each skill line item, a teacher can add ‘skill context’ to describe what is learned for that skill in the experience. Second, below the skills section, there is descriptive ‘knowledge gain’ section to summarize an overall learning objective. Skills act as the ‘verb’ in knowledge; it is the action part of knowledge. Arguably, this becomes the biggest factor because we are already seeing technology augmenting our ability to retrieve facts and information. Learn more about Skills-Based Approach and Skills Label™ . Made another milestone with this blog, a three year anniversary. Welcome all new followers! Like every year, I want to dedicate a blog to summarize the main themes covered this year. 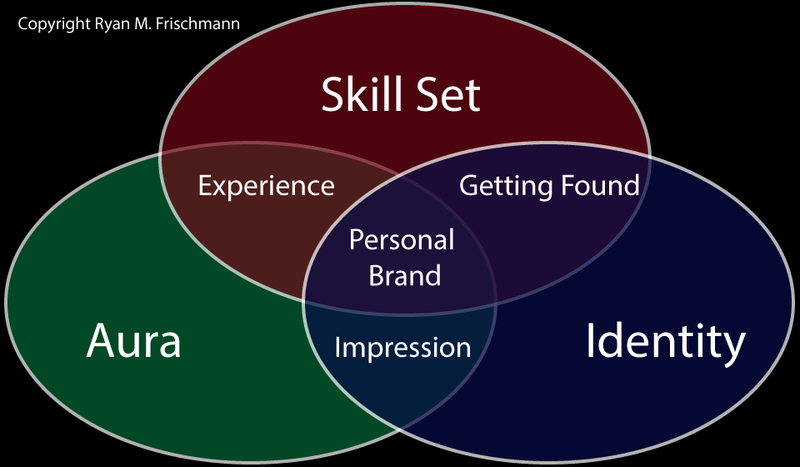 I successfully launched the Online Personal Brand: Skill Set, Aura, and Identity model in a book and website. The model simplifies personal branding into a functional, mainstream approach. Some blogs have excerpts from the book, other blogs apply the model to new topics: taking on a thought role, idea promotion, gossip, and pulling feedback. With a Skills-Based Approach, I discuss some new takeaways: self-guided learning, early education and career planning (translated into a skill set), a changing definition of knowledge, and basing performance reviews on the methodology. In a series of blogs, I talk about adopting a ‘company culture’. I further discuss the importance of making ‘actualizing ideas’ as a key element of the culture. To be successful, a company must institute programs that encourage, stimulate, and move new ideas forward – what I define as actualizing an idea. Finally, as I have been doing from the start, I discuss how the above mentioned and other concepts relate to a personal website. One clear signal from trends this year is a personal website must be optimized for digital access. The delineation between an app and a website is becoming blurry. Nevertheless, establishing and owning an online identity is critical. Blogging is a thrill; it gives you a voice in a noisy world. Personally, I like committing to the process: acquiring knowledge, creating compelling media (sometimes with a metaphor, stats, etc. ), thinking of a stance, and write convincing content. If you have the time and interest, you should consider writing one yourself. I sincerely hope you get something from this blog and thank you for your participation.